We sharpen most of the cutters that are used in the manufacture of uPVC windows and doors and we also supply them new. We also sharpen CNC multi stack cutter blocks which are usually difficult to get sharpened. 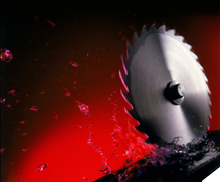 If you, as some of our existing customers do, have specialized cutter blocks that run all day every day, we offer a overnight or weekend sharpening service to keep your production going and eliminate the need for duplicate, expensive cutters. Our service is second to none, our van will collect and deliver your cutters back to you, sharpened ready for use within 3-4 days, and sooner if necessary. Please contact us or use the enquiry section and we will be happy to discuss your requirements.